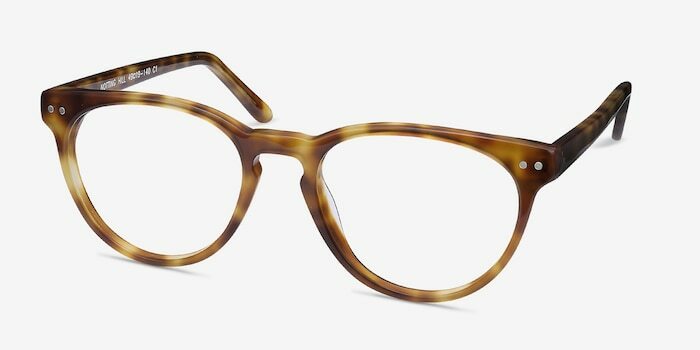 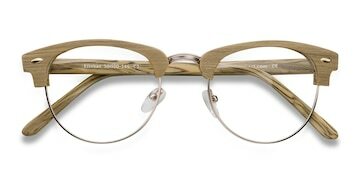 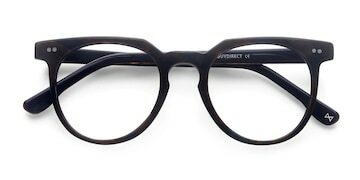 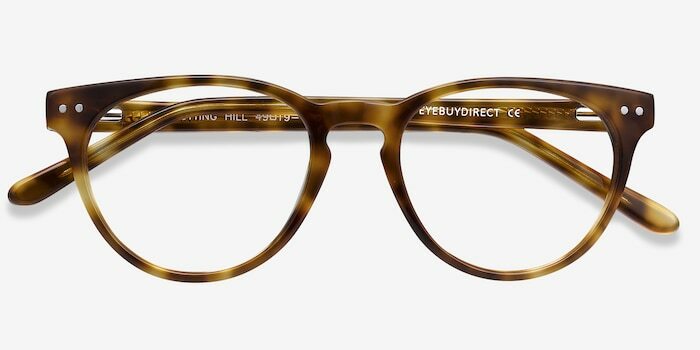 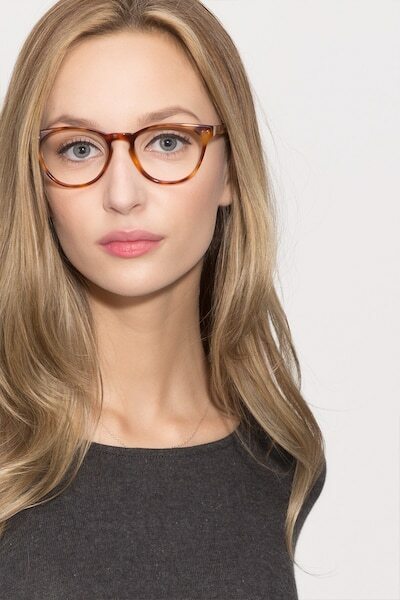 Add some glamour and sophistication with tortoise eyeglasses. 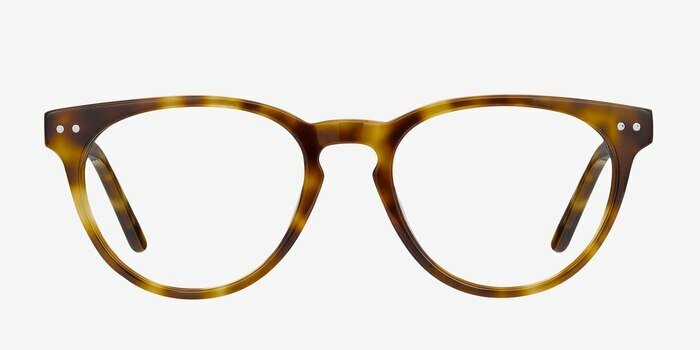 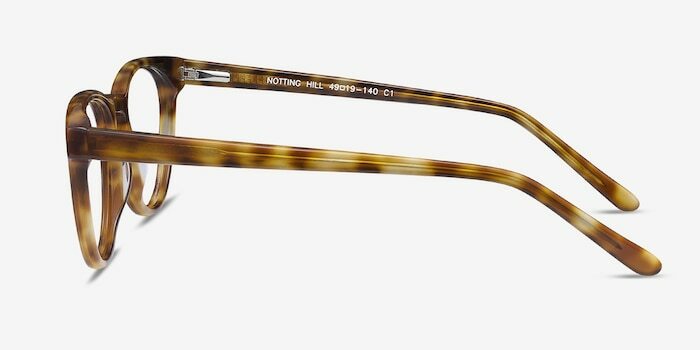 This luxurious frame comes in a semi-transparent tortoiseshell acetate finish throughout and features rounded wayfarer shaped lenses. 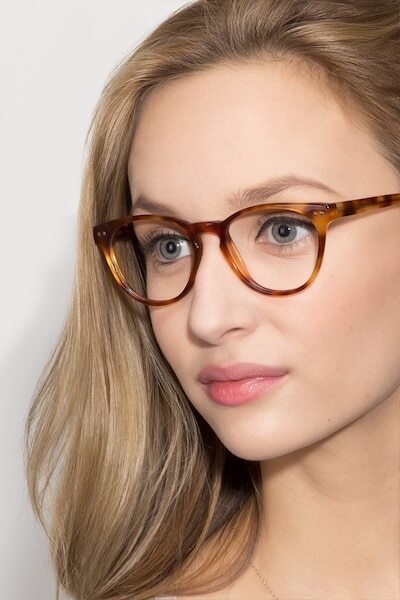 A keyhole nose bridge and double stud accents add a vintage feel. 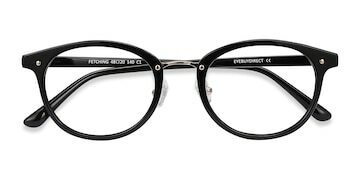 Flexible spring hinges means you won’t have to sacrifice comfort for style.